In 1992, Shelley Thornton, a lifelong artist, turned to the medium of textiles, creating one-of-a-kind cloth art dolls with embroidered, needle-sculpted faces, wooden ball joints, and her unique, signature-style stuffed cloth hair. Her 28” figures are meticulously costumed, juxtaposing unexpected combinations of alluring textiles into collages of patterns and colors. 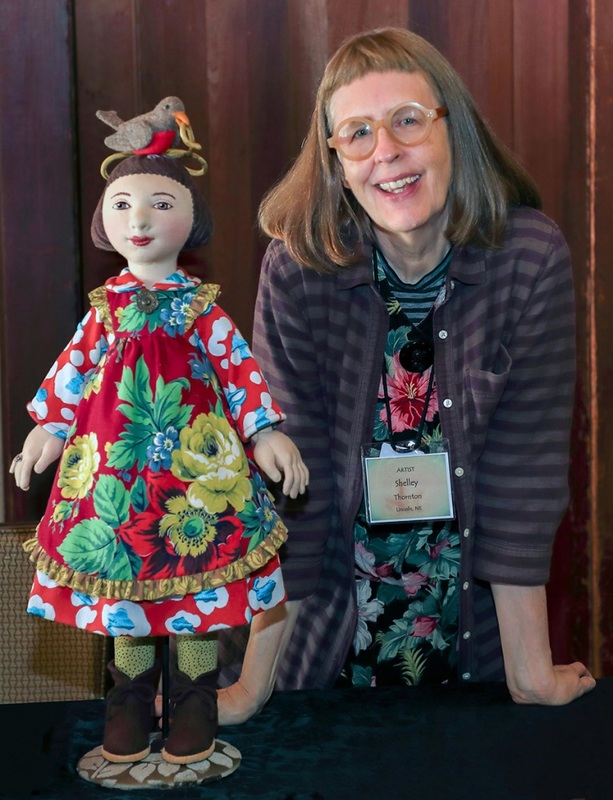 Thornton was elected into the prestigious National Institute of American Doll Artists in 1995, and is known internationally for her work. This exhibition will showcase both Shelley Thornton’s dolls and will showcase a new outcome in her art practice, animation! She will use the gallery’s state of the art projection system to show a 30 foot wide by 9 foot tall animation. The animation will explore her home environment, studio, and materials used in doll creation. Shelley Thornton. Image credit: Barbra Porter.